No one diet or product can reverse time, but lifestyle habits may help slow the aging process and support a healthy skin glow. 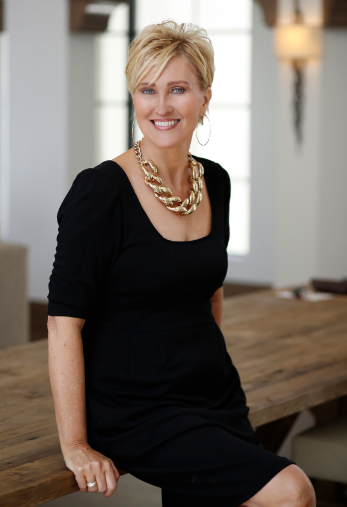 We have asked Kathy Heshelow, founder of Sublime Beauty® and Sublime Beauty NATURALS® about her secrets for gorgeous skin. “I love this quote from Buddha: ‘Every human being is the author of his own health or disease.’ This is so true. Making healthy choices – in everything from food, skincare, wellness products, exercise, relationships and what we put focus and mental time on – can transform us. “ – So said. Why is Skin Brushing so good? • Our skin eliminates toxins and dead cells from the surface, allowing it to function optimally. • It is estimated that we eliminate about 40,000 cells per minute, (according to National Geographic study). • As we age or if we have certain skin conditions, we become less able to throw off those dead cells and toxins. Things can get “gummed up” and put pressure on other organs if elimination can’t occur properly. Plus skin won’t look or feel as good. • Skin Brushing solves this problem and exfoliates for healthy functioning. • Skin Brushing also helps boost blood circulation! This is good for wellbeing! Important nutrients are delivered throughout the body, and skin tone improves. 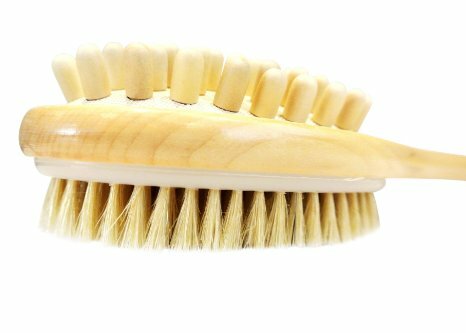 • Skin Brushing assists lymphatic drainage, which in turn helps the immune, nervous, and digestive systems. Since the lymphatic system has no pump, it needs help to move the “bad stuff” out – and Skin Brushing helps! • Brushing can help with cellulite management, too. • Dry brushing is a stress-buster! Your body feels and functions better, your skin feels and looks better, and your benefit is a sense of wellbeing. • Daily brushing off our body helps boost our mood and release endorphins. By starting your day with Skin Brushing, you can give your body some attention, make sure your blood is flowing, help support your skin’s functions and move the lymphatic system. How do I skin brush? • Brush absolutely dry skin. • Brush in mid to long strokes that are firm but not too hard. The brushing should feel good, pleasant or invigorating and should NOT hurt. Your skin may turn a little rosy. Don’t brush so lightly as to be ineffectual. • Brush each section with a minimum of 3 to 5 strokes. Brush front and back. Remember to spend time on those lymph node-rich areas (armpits and upper inner thighs). • Don’t brush any open sores or cuts, and brush everywhere except the face. • Don’t share your brush with others. Diet and nutrition, as well as lifestyle and aging, influence the beauty of your skin. To help your skin stay healthy-looking and beautiful day after day, make sure that you eat food loaded with Vitamin C and Omega 3 and make sure you moisturize your skin by applying a good moisturizer. Keeping your body and immune system strong is essential for good health. Your body works full time against toxin overload, but it is a big job! Your skin, kidneys, liver, intestines and the lymphatic systems are all busy. “Because I love Ayurvedic and natural approaches to health and beauty (some learned in Europe), I decided to launch a second company this summer that offers ONLY Certified Organic and pure products. 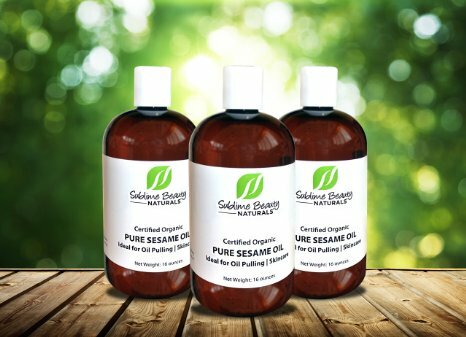 Sublime Beauty NATURALS® is rolling out new products each month for the rest of the year. Also, what Sublime Beauty NATURALS® propose is an easy daily system that will help several of your body functions, take some strain off the lymphatic system, and improve your wellness” – says, Kathy. 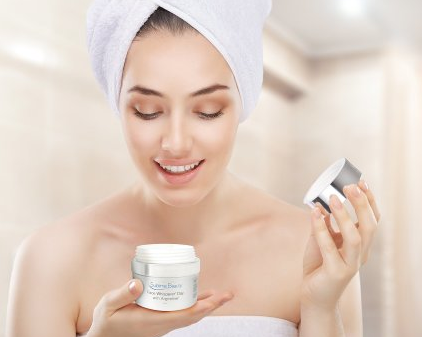 Sublime Beauty NATURALS® is simple and can be incorporated into your daily routines. These basic practices are all time-tested and honored, coming from thousands of years of use and experience – even if these practices seem new today. The DETOX 1-2-3 (Lymphatic Support) is a great daily practice to improve wellness! It’s so easy, too! 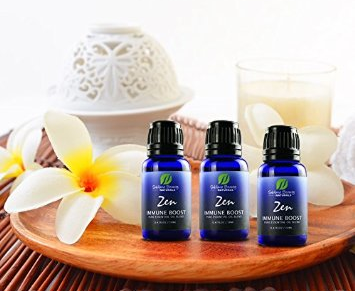 3- Zen Immune Boost Essential Oils to use each night before bed to help bolster the immune system. “I believe in having fun (life is too short), aging well with great practices to form a basis of wellness, secret ingredients to help the skin – and 2 absolute basics that so many forget – breathe deeply and drink lots of water!” – added Katy.